Anyone can afford to get their caffeine fix at Recession Coffee—after all, it’s up to the customer how much to pay. The new concept store, which opened earlier this year and was founded by Charles Paw, shares its space with Digital Walker in the gadget shop's Eastwood branch. "As a business, we love to get feedback on all of the stuff that we do. And what better way to get feedback than empowering our customers to speak with their cash?" says Howard Paw, Digital Walker’s vice president of retail sales. "With Recession Coffee, we get to serve something we’re very passionate about—good coffee—and get loads of feedback by the amount each customer pays." Its unique pay-what-you-want scheme applies to a wide selection of espresso-based coffees, as well as hand-brewed single-origin coffees. 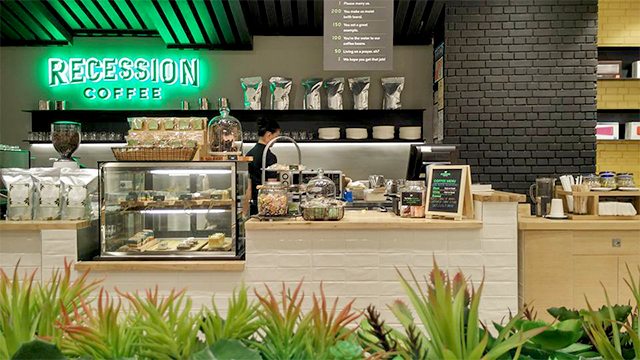 Recession Coffee has partnered with other brands to bring customers an authentic coffeehouse experience. Its house-roasted beans are supplied by YKW, the in-house specialty coffee roaster of the EDSA Beverage Design Group. Its pastry menu was made by Chef Mikko Aspiras of Scout’s Honor. Meanwhile, its branding was conceptualized by designer Dan Matutina. Founder Charles Paw was inspired by the global third wave coffee movement. "In countries like Australia and USA, specialized coffee shops have been popping up," he says. "[Our] idea was to offer excellent gourmet coffee without costing an arm and a leg." Cups are served with a playful sticker or "price badge" on them to thank the customer for how much they've paid—lower than Php 50, and they’re wished well on their presumed job hunt, and more than Php 200 will earn the customer a "marriage proposal" from the Recession Coffee team for his or her generosity. "We’re totally 100 percent behind our product, and we believe that people are willing to pay for quality," says Howard of their pay model. At the end of the day, Recession Coffee's sales need to meet a required average price per cup, and so far it has received a warm reception. Some customers like to pay Php 50, but tip well; others will cheekily pay Php 1 for their first cup, then dish out Php 299 on the second. The novelty aside, this coffee shop was built on the belief that everybody, even those low on funds, should be able to experience and appreciate good coffee. Some orders do take more effort and delicacy to prepare than others; with coffee, "dapat tama yung time and weight every time you brew," says store manager MC Rhenz Chino Lorenzo, but "we serve every cup of coffee with the same level of quality, regardless of the amount our customers pay." 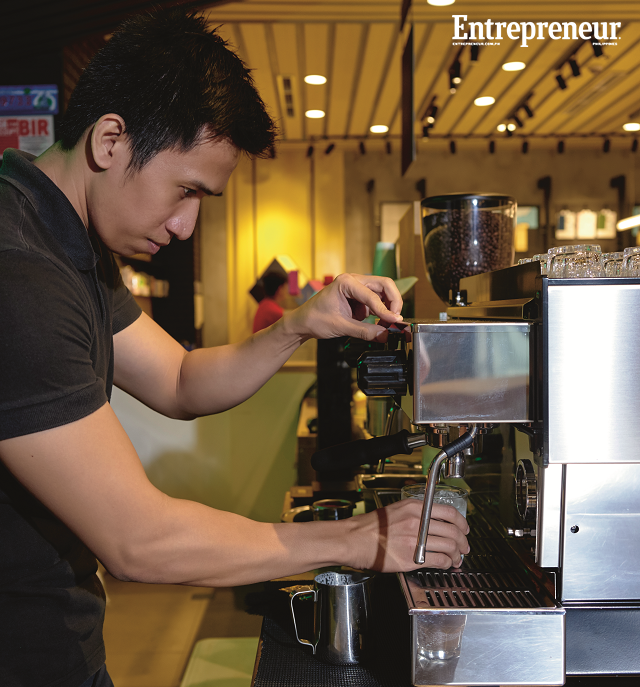 This article originally appeared in the November 2015 issue of Entrepreneur Philippines magazine. Minor edits have been made by Entrepreneur.com.ph.